Regular services will be held at all churches on New Years Day. Please send your Season’s Greetings to those in our congregation that are shut in this Christmastime. Contact Tim or Carla if you did not get an email with names and addresses. Our folks would love a Christmas card!! Fifth Sunday was great. Lots of good food and Wayne’s Halloween party was a blast! TODAY, Nov. 8: if you haven’t voted, please do. Regardless of your choice, please go and let your voice be heard…besides it gives you fair griping rights for 4 years. What is it “it is better to have voted and lost than not to have voted at all”…no that doesn’t seem quite right. Well vote anyway…its good for you and its good for your country. Sunday, November 13th, 2016 1:30pm Annual Charge Conference at Barnardsville UMC for the entire Charge. We will be voting on our slate of officers. We anticipate a short meeting. Sunday, November 20th 2016 Community Thanksgiving Service: place and time is being determined. Our charity this year will be Lumberton. They are still trying to get back to normal after the hurricane. If you have a song to sing, or a talent to share please contact Steve Carson. This past Sunday we passed through the shadow of death (no I’m not talking about the election… that was the sermon.) This Sunday we will be seeing what the scriptures say about heaven. The next two Sundays following we will be looking into what the scriptures say about hell and then about resurrection. For our advent David will be delivering a sermon series focusing on the Magi. Stephen had his physical therapy evaluation Thursday and he did very well. He has essentially graduated from the physical therapy program. The next step is a visit to UPS on Tuesday during work hours to see how he handles the noise and stress. If he handles that well, he will start working 1 hour a day, and work his way up to the normal 4 hours. So good things are happening! He is also driving a little now. Also, thank you for all of the work and support regarding the fundraiser. We feel so blessed to have friends and family that would do this for us. I do not have the email address for your pastor or all of the men’s and women’s group members, so please feel free to pass this along to all of them, and to anybody else that I missed. Last Saturday’s BBQ to benefit Steve Conard and his family raised $2,200.00 Thanks to the Barnardsville Men who planned and coordinated the event and thanks to all who shopped, cooked, served and attended the event. This is why we live in community. This is what Christian community is all about, caring for one another. This is Church!! Water to Lumberton really took on a life of its own (I was thinking of all kinds of water metaphors here…yes, you are welcome.) To date there have been 2 trucks full of bottled water that have been transported to the fire station in Lumberton for distribution. David tells us that Barnardsville has contributed something approaching 25% of the water. Considering it is 100 times smaller than Central, that’s saying something. Job well done!! Joe Merrill at Antioch has involved the Rhododendron Society and they have contributed yet another pickup truck and trailer of bottled water that will be driven down to Lumberton this week. I am really pleased and proud that our community has put forth such an effort. Thursday, October 27th, 2016, 7:05 am Barnardsville Elementary School Teacher Appreciation Breakfast. Those who signed up for the event will meet in the parking lot at 7:05 am and take their food donations up to the teacher’s lounge. If you signed up and can’t make it that early please let Mary Johnson know and we will make arrangements to get your food donation. October 28th & 29th, 2016. The scouts will be at the Haunted Trail at the Community Center this Friday and Saturday nights. Come on out if you feel like getting scared silly and want to support the community center. Sunday, October 30th, 2016 Service at all three churches: FIFTH SUNDAY!! Bring some food to share and David will lead us in a congregational Sunday School lesson! Saturday,November 12th, 2016, 5:30 PM. Veteran’s Dinner at The Big Ivy Community Center. In appreciation of our veterans, the Community Center is hosting a dinner in their honor. Doors will open at the Big Ivy Community Center at 5:30 PM. ALL veterans and their family are welcome. RSVP to Lynn @ 626-3438. Sunday, November 13th, 2016, 1:30 pm Annual Charge Conference at Barnardsville UMC. Community Thanksgiving Service is in the works. David will let us know more soon. Continuing Sermon Series on “What Happens When You Die?” Don’t wait for it, come and find out now!! Sermon Series at Advent will focus on the Magi. For Your Consideration: Here is a good article on Repentance. It is a word and perhaps a practice that has fallen into disuse and even disrepute. Perhaps because many times we, as Christians, have beaten folks over the head with the concept. Regardless, it remains the truest of Christian practices, the act of turning from our mistakes and turning towards Jesus. Prayer Exercise: Try this Spiritual Types test. (I rather doubt it is particularly scientific,) but do it for fun and then check out ways to pray for your particular type. I would say any of the methods for any “spiritual type” is a generally fine way to pray, and any could breathe a little more life into your prayer time. As you have time please check out the Upper Room’s Living Prayer Center for other modes of prayer and other ways to make your prayer time more meaningful this holiday season! Have a great rest of your week! We look forward to seeing you all on Sunday!! Greetings to all in the name of the risen Savior! This Sunday the Barnardsville Men will host the men’s breakfast at Antioch Baptist Church at 8:45 am. Saturday October 22, the Barnardsville Men will be hosting a Benefit BBQ doe Steve Conard and family from 3-6pm at Antioch Baptist Church. Please help us help Steve and his family! BRING BOTTLED WATER to church this Sunday!!! This Sunday we have a rare opportunity to help our neighbors in Lumberton, NC. I’m sure everyone is aware that the folks down east are having an awful time. Federal and State monies are slow in coming. Millions of farm animals have been lost. Many folks are homeless this week. A couple of guys rented a truck and have asked churches in the Asheville area to fill it up with bottled water, jugs, bottles, whatever you like. Central UMC is going to be the collection point and David Peeler and I will make sure it gets there (unless you bring a truck-full and then you should just let Central know). Bring your bottled water to the service on Sunday and we will collect it. The truck will leave Sunday afternoon so we will run it all to Central after the service. July 10: Mary Magdalene will be the focus of the sermon this week. Now on the first day of the week Mary Magdalene came to the tomb early, while it was still dark, and saw that the stone had been taken away from the tomb. 2 So she ran, and went to Simon Peter and the other disciple, the one whom Jesus loved, and said to them, “They have taken the Lord out of the tomb, and we do not know where they have laid him.” 3 Peter then came out with the other disciple, and they went toward the tomb. 4 They both ran, but the other disciple outran Peter and reached the tomb first; 5 and stooping to look in, he saw the linen cloths lying there, but he did not go in. 6 Then Simon Peter came, following him, and went into the tomb; he saw the linen cloths lying, 7 and the napkin, which had been on his head, not lying with the linen cloths but rolled up in a place by itself. 8 Then the other disciple, who reached the tomb first, also went in, and he saw and believed; 9 for as yet they did not know the scripture, that he must rise from the dead. 10 Then the disciples went back to their homes.11 But Mary stood weeping outside the tomb, and as she wept she stooped to look into the tomb; 12 and she saw two angels in white, sitting where the body of Jesus had lain, one at the head and one at the feet. 13 They said to her, “Woman, why are you weeping?” She said to them, “Because they have taken away my Lord, and I do not know where they have laid him.” 14 Saying this, she turned round and saw Jesus standing, but she did not know that it was Jesus. 15 Jesus said to her, “Woman, why are you weeping? Whom do you seek?” Supposing him to be the gardener, she said to him, “Sir, if you have carried him away, tell me where you have laid him, and I will take him away.” 16 Jesus said to her, “Mary.” She turned and said to him in Hebrew, “Rab-bo′ni!” (which means Teacher). 17 Jesus said to her, “Do not hold me, for I have not yet ascended to the Father; but go to my brethren and say to them, I am ascending to my Father and your Father, to my God and your God.” 18 Mary Mag′dalene went and said to the disciples, “I have seen the Lord”; and she told them that he had said these things to her. Saturday, July 9, 2016 11:00 am-2:00 pm: Doug Garrison , pastor of Jupiter Baptist writes to let us know that they are selling BBQ, hamburgers and hot dogs. Proceeds to benefit the orphanage in Honduras, built and sponsored by The Carpenter’s Heart. Sunday, July 17, 8:45 am. Barnardsville Men meet at Antioch Baptist Church. 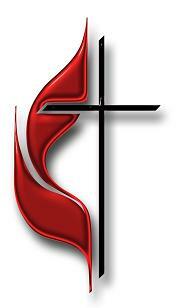 Sunday, August 21, 8:45 am Barnardsville Men meet at BUMC. Sunday, August 31, Fifth Sunday Celebration at all churches on the charge. The Love offering last week to help Lewisburg UMC respond to the flooding in their town was $210.00! Thanks to all who were able to give to such a worthy cause! It looks like everyone had fun on the float on the 4th!! You Might Be A Methodist If..
You think John Wesley was the 13th Apostle. You think God’s presence is strongest on the back three pews. You think “Amazing Grace” is the national anthem. You think Jesus actually used Welch’s grape juice and saltine crackers. You think someone who says “Amen” while the preacher is preaching might be a Charismatic. You are old enough to get a senior discount at the pharmacy, but not old enough to promote to the Senior Adult Sunday School; you think the only promotion after that is the cemetery. You are upset that Joshua brought down the wall of Jericho and think that the Board of Trustees should recommend that the church pay for it to prevent a general ruckus. You are upset that the last hymn in the new hymnal is numbered “666. I hope this weekly update finds you all well and centered in Christ! For those that know Steve Conard , the former pastor of Antioch Baptist, I had occasion to meet with him this week. He seems much improved, but the doctor still has him on restrictions. He cannot work yet, or drive or even bend over. Please keep him and his family in your prayers. He is still writing his blog, Stirrings of the Soul. There is an ongoing series entitled “Lies Christians Tell.” It is well worth reading. In From the Still Point, my old friend Rev. Murray Richmond addresses the problem of the Legion of Demons that Plague Us. Both blogs are good reading and food for thought. July 3, 2016 – This Sunday we will have an additional Love Offering for the folks in and around Lewisburg, West Virginia. We are partnering with Lewisburg UMC in providing flood relief to the folks in the area. This is the church and community that Bev Columbo serves. I spoke with the secretary at the church and she said that the folks at the church did not wait for folks to come to them to be rescued and helped. “They put on their boots and waded out into the flood and rescued and helped all the folks they could.” She said the central area where the church is located has a lot of water but it is mainly in basements and a few low lying streets, the areas around Lewisburg, smaller towns are devastated. “Driving around is hard, so many areas are under water. The pictures you see on TV don’t do it justice,” she said. July 3, 2016 1:30 pm – We will be working on the 4th of July float here in the barn. Need all hands on deck. 65 Dillingham Rd. Will everyone please bring red white and blue decorations and bags of candy to toss for kids. July 4, 2016 12:30 – Everyone who wants to ride the float should arrive at this time or before. July 4, 2016 1:00 pm – The parade will start at Barnardsville Elementary school. For those of you who remember Bev Columbo, I found some sermons she delivered out on YouTube. I thought some of you might enjoy hearing her again! Sunday a.m., May 5 – Preached in St. Anne’s; was asked not to come back anymore. Sunday a.m., May 12 – Preached at St. Jude’s; can’t go back there either. Sunday p.m., May 12 – Preached at St. George’s; kicked out again. Sunday a.m., May 19 – Preached at St. Somebody Else’s; deacons called a special meeting and said I couldn’t return. Sunday p.m., May 19 – Preached on the street; kicked off the street. Sunday a.m., May 26 – Preached out in a meadow; chased out of the meadow when a bull was turned loose during the service. I stole this from http://ac2016.org/thursday-evening-worship-bryan-collier/ He appropriated this from John Wesley…I think we’re good. Thanks Dr. Bryan Collier and John Wesley for this. Sunday p.m. June 2 – Afternoon service, preached in a pasture; 10,000 people came. How many times does God push us onward through difficulty after difficulty, failure after failure, but at some point the harvest comes and the fruit is revealed! Its been a busy first half of the year for me and I haven’t kept up with the webpages as I should have, however, I am making some strides this week to rectify this oversight. I have put in a page that was long overdue under the service header for the Barnardsville Men, and have created but not expanded on one for Helping Hands. I will work more on these this week and should have some updated stuff later. These are really barebones, but they help me to create the structure. June 25th, 1:00 pm Helping Hands will meet at Barnardsville UMC. July 3, sometime in the afternoon we will meet for Fourth of July Float Preparation. More updates on this later. July 17, 8:45 am Barnardsville Men meet at Antioch Baptist Church. Those Who Walk in Darkness: June 19th sermon by Tim Buckner, BUMC Lay Servant. One of the temptations when you are walking in those dark times is to give in to the idea that no one cares, that perhaps God doesn’t care. This is because you feel lost, alone and injured. The darkness is too dark, the night is too long, and you spin your wheels wondering why this has happened to you. It feels that way sometimes but perhaps God is using these dark times to show us what we need to see. Training us to understand folks when they are walking in crisis and pain. We as Christians are actually called to walk into the darkness. We are called by God to walk into the darkness of this world bringing the light of the good news with us. The good news that we do not walk alone. The good news that our Father God loves us, and not just us but everybody. Everybody you know and the billions you don’t, the folks you like and the folks you don’t like,your friends and your enemies, Jews, Gentiles, Christian, Hindu, Muslim, Black, White, whether you are traditional in your beliefs or progressive, whether you are gay or straight, whether you like State or Carolina. God loves us all and that relationship that he invites us to have with Him through His son’s life and death is the light we bear. We walk in the darkness because we carry a great light. A light that cannot be extinguished, a light that cannot be ignored, a light we must never allow to be hidden. It cannot overcome it. It is a physical and spiritual impossibility. For when the darkness has swallowed all the light it can, the light bursts forth and darkness is vanquished. Last week David Peeler texted me and asked “What do you know about saints.” I thought “You’re asking me?” So I had to be a wise guy “Well I know they like marching and they make a great cloud formation. In fact they kinda invented the cloud from my understanding.” Well we laughed but we went on to talk about the importance of the saints, the famous ones and the ones that are homegrown, the ones who come to you when you need them, the folks with whom you participate in community, the grandmother that never stops praying for you. In fact when I told my grandmother “Granny you don’t need to pray so much for me I’m OK, life’s OK, I grew up, It’s OK” My Grandmother would say “How do you think you got this far? Do you have any idea how often you are in my prayers” We have such a great cloud of witnesses. Well we know they share the banquet of communion with us. Every time all the time they share the sacrament with us. They intercede for us, they pray for us, they witness our trials and can encourage us most importantly they are a light for us. They are those beacons of Christ that have run the race. When they finished the torch run they did not throw them down, they held them high and they hold them still, lighting our way home. They have finished the race. Their reflected light brings clarity to our paths, they are the open door where light shines into the darkness allowing us to see our way into thedarkened world even better. You know few people go into a darkened room and simply shut the door behind them if they want to see, no…they leave that door open for by itslight you can find your footing. The saints, great and small, known and unknown are those open doors that light our way into the darkness of this world, and with each door that is opened the world becomes a bit brighter. We need their example. After a week like last week…we need the stories of their lives. We need stories, like those of the apostles…testimonies of men that walked into the darkness of the world bearing the light. Men who were not afraid to suffer and die, not for what they believed, but they suffered and died telling the story of Jesus. A story that many craved to hear, a story that some despised. It wasn’t simple belief that carried them there. Theology didn’t take Peter and Paul into Rome to die in the persecutions of Nero…the light did, that light that cannot be extinguished. Andrew was killed in Greece, Thomas perhaps in India or Persia. These men knew the light, they knew the light when He walked with us. This wasn’t religion in the usual way, this was experience, this was real to them…they saw the resurrection, they experienced Jesus and nothing was ever the same again….nothing, not ever. Had it all been a fantasy, they would have slipped away quietly. Think about it, are you going to go into the darkness of the world for something that isn’t real? Are you? They weren’t either. Peter, Andrew, James and John had good jobs and were likely skilled fishermen. Hey its an honest living and it beats dying in the arena as a lions meal. Unless its true, unless Jesus really did walk with them, eat with them, die for them and was raised by His Father on that third day. Now that’s a story to die for…because it is all true. Since I got to pick my own saints, I picked the two with whom I had the greatest affinity . Saint Francis and Mother Teresa. “She began her missionary work with the poor in 1948, replacing her traditional Loreto habit with a simple white cotton sari decorated with a blue border. Mother Teresa adopted Indian citizenship, spent a few months in Patna to receive a basic medical training in the Holy Family Hospital and then ventured out into the slums. It began as a small congregation with 13 members in Calcutta; by 1997 it had grown to more than 4,000 sisters running orphanages, AIDS hospices and charity centers worldwide, and caring for refugees, the blind, disabled, aged, alcoholics, the poor and homeless, and victims of floods, epidemics, and famine. By 2007 the Missionaries of Charity numbered approximately 450 brothers and 5,000 sisters worldwide, operating 600 missions, schools and shelters in 120 countries. Both Francis and Mother Teresa were humble, their ministries were to the poor. They lived with them and served them. They walked the road with Jesus, their success came from their humble hard work and their devotion to Jesus They were tireless in their work and their vision and amazing things happened, but they too were challenged, they too spent some time searching in the darkness, they too asked God if He was still there as they walked through their dark times. So when things look dark to you, when it seems like God is far, when you wonder if anyone cares, be assured that just as God loves and directs His saints, he loves you and is with you in the dark times even when He seems far away. He is using those moments, not causing those moments, but using them to make it possible for you to walk in the darkness and not stumble, for you to walk in His light when others see no light, to be the light for others. You are the light walking into the darkness of the world. I want to make sure you hear that: YOU ARE THE LIGHT WALKING INTO THE DARKNESS THAT IS THE WORLD!! The one thing that the power of darkness hates is those that bring light into the world. While I don’t think, at least here, we are likely to be persecuted at this time, our brand as Christians has suffered to put it into modern day jargon. Things have changed. Once those that didn’t share our faith, respected our faith, no more…but perhaps that is because we have disrespected our faith before them. They hear our hard words, They see our hypocrisy instead of our struggles, they see our self-righteousness instead of our searching for the will of God. They see our infighting, they see us being judgmental, they see us as using one measure for ourselves and another for others. Jesus told us that in judging we would be judged by the same measure that we ourselves used on others. If we judge others harshly, if we judge others with dogmatism and legalism, we too will be judged by the same standard. They see us making the same mistakes over and over and they wonder if we are getting anywhere. I wonder that too sometimes. But we have an amazing God, who can redeem all our shortcomings, He can make blind men see and the lame walk, he made the scales fall from Paul’s eyes and redeemed the denial of Peter. He softened even the heart of Nicodemus the Pharisee…He is certainly able to redeem us and remind us that people will know we are truly followers of Christ by our love, not by our legalism, they will know we are true in our faith by our open hearts and our acts of selfless service. What do saints do? They stand boldly urging us on, they have walked in the darkness, they have walked when they could not sense God, when God seemed far away and they are there to show us that it can be done, that eventually we sense Him again, that the path will lighten up. He has given us so many signposts, Mother Teresa, Saint Francis, the Apostles, all part of the great cloud of witnesses that surround us always. *1: DATA DISCLOSURE: Time-lines, dates, quotes and facts for St. Teresa and for St. Francis are from Wikipedia…some are footnoted, some are not. The Annual Christmas Tea is tomorrow, December 13 at 3 o’clock. We have a great line up. Our own Greener Pastures; Heather Masterton and her husband Fred Lemmons will be doing a few Christmas-y carols. Fred is a classical clarinetist, plays with the local symphonies, retired from USMB and 21 years in the White House; The Men’s Choir; Carolyn and the children from Pleasant gap; Bruce Lang with his Christmas melodies ; Wayne and his daughter with their amazing music; Vicky Fox; and others as well as our coming together for over 50 years to sing Christmas carols. This should get us all in the Christmas Spirit which is the reason for the season. Please invite everyone you know and keep this in your prayers. Sunday, December 20, 5:00pm Caroler’s Rest at Pleasant Gap UMC. Come and sing with the carolers from Salem Baptist at the end of their caroling journey. It’s that time of the year again! Sometimes when the snow is falling here, when the wind is right and the world is still you can hear friendly shades of holidays past whisper seasons greetings and fare-you-wells from somewhere beyond memory. If you listen long enough perhaps you will hear the carols sung by uncounted voices over the years and sleigh bells as they echo through the halls of time. Sometimes I can almost hear my grandmother as she taught me to cut snowflakes out of paper, or hear my grandfather call me to come help cut the Christmas tree. This year I am reminded by circumstance, both in general and in the specific, of just how remarkably precious and fleeting our time is with each other here on this earth. So make sure you let someone know how much they mean to you this Christmas season, and make a fond memory with every friend you greet. Christmas is also a time of turning. As the earth pivots on its axis and the days cease to shorten our human race has always celebrated. Though the worst of winter may yet be before us we have always sung our joy. Perhaps this is because hope is not born with the spring; rather the hope of spring is born out of the heart of winter. It is when things look darkest we discover again and again that it is there that hope begins, that love, laughter, faith and song mean something more than they do in the best of times. Christmas is a hard time for many of us, and it gets harder with every person we lose out of our lives. Grandparents, fathers, mothers, friends, for some even children…just gone. Vanished forever from our story, like a footnote in time. But the space they occupied is never filled. We hold it open in the hope that they can one day fill it again. So we grieve in the midst of our rejoicing and we make glad in the midst of our grief. Such is the paradox of mankind. We were never made to be satisfied except for brief moments…ever striving, ever questing, ever moving. We are still hunter-gatherers of the soul seeking our sustenance day by day. Those bright memories are part of what sustains us, a portion of the manna we have been granted for the day, they are part of the grace we walk in. When we have broken bread at the end of days we will look back to these times and see that indeed all our hopes sprang from the hope of the Christ child, God’s light for a weary and broken world, that indeed heaven itself began here and now with those we love for joy reaches back and guilds even our rocky roads as if they had been paved with gold. May your journey for that light be as fruitful and fulfilling as the trek that three learned travelers took toward a little town in Judea two thousand years ago. May you also find your joy. that you may carry with you on your homeward journey.